Would you like to create an awesome video that explains exactly what you do or what you have to offer? Keep reading to find out how to make an explainer video that will engage and delight your audience. Essentially, an explainer video is a short video that tells your story or explains the service or product you are promoting. While many explainer videos are animated, they can feature live actors (even you!) or be created with hand drawings or digital drawings. When it comes down to it, there is one purpose of an explainer video: to share who you are and what you offer in an efficient, straightforward, and engaging manner. 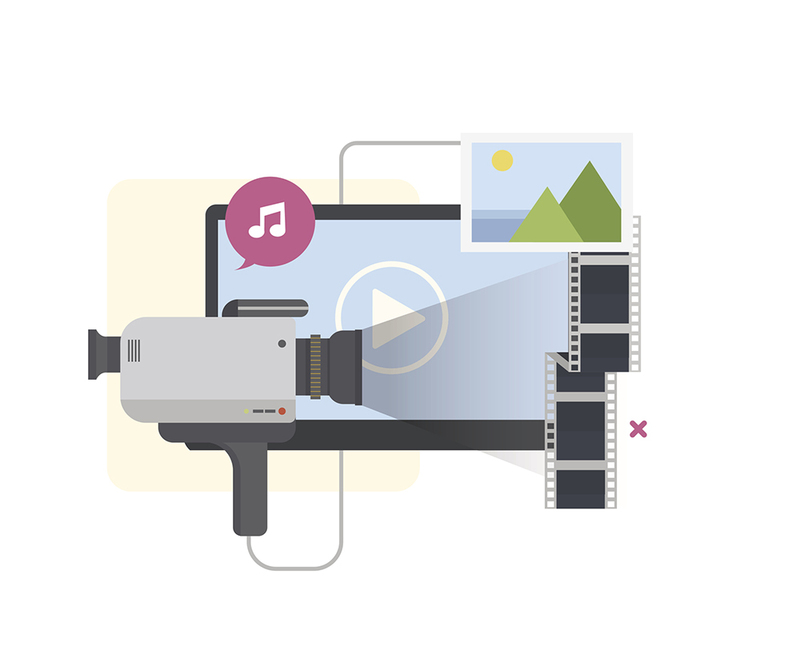 Now that you know what an explainer video is, here are some strategies you can start using as soon as today to make your own video. First, conduct some research and determine who your target markets are so you can design your video to be directed toward them. After you know who you are targeting, the rest is pretty simple. If you really want your explainer video to make a lasting impression, you must come up with an amazing script. Consider this the backbone of your video. The script must explain what you do and what you offer but in a way that is easy to understand. This is one of those times when more is not better. The best explainer videos are only about 60 seconds long. To get started on your winning script, start with a brainstorming session. Decide what you can do for your audience and what makes you the best person to do it. As a guideline, you want to have about 160 words of script for every 60 seconds of video. While this might seem like it would be one of the easiest parts of creating your video, it is not. You see, what attracts you personally might not be the same as what your audience will find appealing. Make sure you create the video for your audience, not yourself. It must appeal to your target market. Doodle Marker—This is a basic whiteboard style of animation that can set the perfect scene for your video. Clean Graphics—This style of animation allows you to add more than 100 elements to your video to make it stand out to your audience. It includes various characters and unique styles for you to choose from. VideoBlocks—If you are unsure of the best way to get your message across, this is a good choice. There are more than 500,000 options, including photos, illustrations, graphics, stock videos, and even motions graphics at your disposal. The last question is whether you should create the video yourself. If you are familiar with this kind of animation (or creating a live video), go ahead and do it! If you are not familiar and have never done anything like this before, outsourcing it to a professional is definitely the way to go.